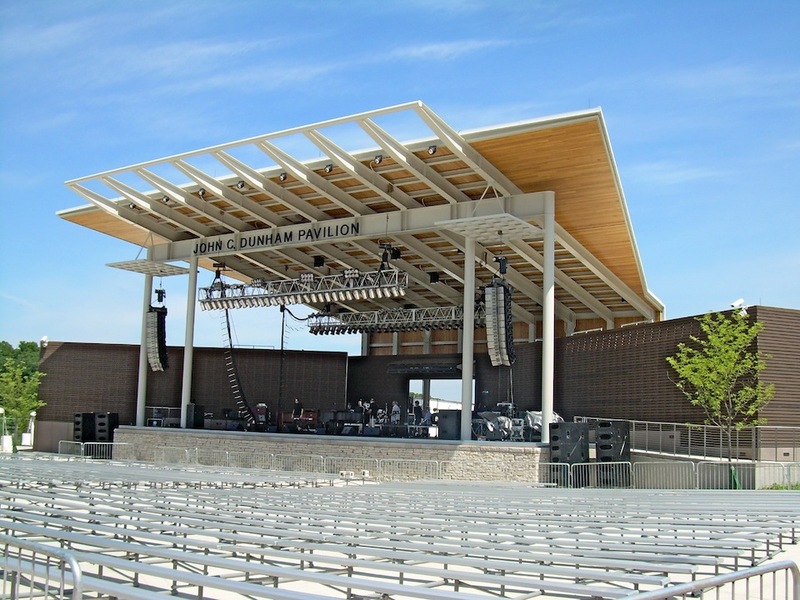 RiverEdge Park’s stunningly beautiful John C. Dunham music pavilion is breathtaking. It was designed with signature lighting including dramatic low energy LED lights on the cedar planked sound wall and pavilion wings. Surrounded by 10-acres of beautiful grounds this entertainment facility has a capacity of up to 8,500. Designed by Architectural firm, Muller & Muller, Ltd.